Moonee Valley Racecourse in Melbourne features the Group 1 Cox Plate. 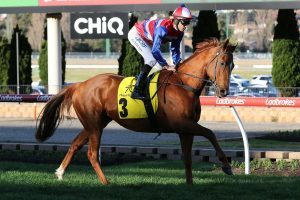 Other major races held at Moonee Valley include the William Reid Stakes, Manikato Stakes and Australia Stakes. Founded by the legendary William Sam Cox, racing at Moonee Valley began in 1883 and has since become one of the greatest racetracks in Australia. Its prestige comes from the quality of races the track produces and the quality of the racetrack itself. Located just 6km north of Melbourne CBD, the track offers both horse and harness racing and is home to the Moonee Valley Racing Club. It is the only Melbourne track to offer night racing which is held on most Friday nights. Often misspelt as Mooney Valley and Moonie Valley, the racetrack hosts three of Australia’s greatest races, the Manikato Stakes, the Australia Stakes and the coveted WS Cox Plate. The Manikato Stakes is a Group 1 weight-for-age race held in September. Worth half a million dollars, the 1200m race attracts the best sprinters from around the country. It was named after the legendary horse Manikato, which won many of its 29 wins on this track. Manikato was buried at Moonee Valley Racecourse. The second major race is the Group 1 Australia Stakes held in February. Similar to the Manikato Stakes, this is a 1200m weight-for-age race worth $500,000. The last major race held at Moonee Valley is the “Race of Legends”, the WS Cox Plate. This Group 1 race is worth $3 million in prize money and $50,000 in trophies. As a 2040m weight-for-age race held during the Melbourne Spring Racing Carnival, the race attracts the greatest horses both nationally and internationally as it is the most highly regarded race in the carnival. The Sew-Eurodrive Victoria Cup Carnival is one of the biggest harness races at Moonee Valley. Held on two consecutive Saturdays in December, the race is one of 52 Moonee Valley meetings each year. Worth $375,000 in prize money, the country’s best horses compete on this 2575m Grand Circuit event. The other major harness racing event held at the track is the 3050m Hunter Cup worth $500,000. Moonee Valley racetrack is quite a small anticlockwise track with a circumference of only 1805m and a straight of just 173m. It suits horses which can lead up the front and it can be difficult for horses in the back to advance forward due to the extremely short straights. The nearest train station is Moonee Ponds Station on the Craigieburn Line, and it will take you about 10 minute to walk from the station to the racecourse via Puckle Street. Visit the Metlink website to plan your journey to Moonee Valley Racecourse via train. Catch the number 59 from Elizabeth Street to Moonee Ponds Junction. Visit Metlink to plan your journey via tram. Moonee Valley Racecourse is located at 1 McPherson St in Moonee Ponds, about 8kms north west of the Melbourne CBD. It will take about 20 minutes along Flemington and Mt Alexander Roads. There is limited parking and visitors are encouraged to chose public transport options on major race days.